Green Wave in Europe - A New Hope Or ....? Deutsche Welle, German news broadcaster, called the "Grunen", the most successful Green Party of all times in the world. What's more, they named them the greatest political winners of recent times, although the Christian Democratic Union - CDU - has recently won local elections with its allies and subsidiary policy creatures. Greens are the winners for several reasons. On the one hand, they are the party that exposes currently the fastest growing popularity; on the other hand, if the trend of popularity persists, it is one of two parties that could replace CDU and social democrats in German policy. One of the two, maybe the bigger, onr can expect, that respectable Germans will love Greens more than an Alternative for Germany. The success of recent months in Bavaria and Hessen gives hope that this will happen. Political scientists have a reason for surprise. In the past, the Greens have seldomly succeeded in reaching the 10 per cent limit; they never succeeded in winning the mayor's posts (except one town in the south of the country), they never were beloved by voters in the former East Germany. 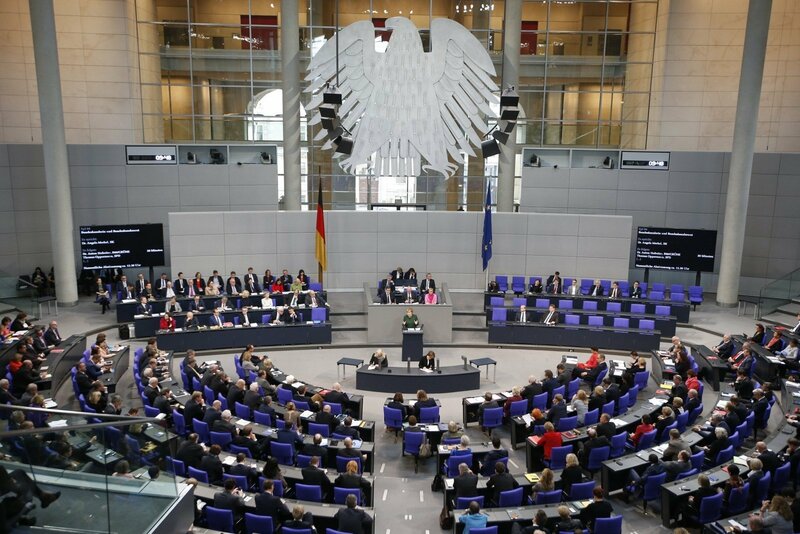 What is even more astonishing is the fact that the Greens jumped up suddenly and unpredictably: in the 2017 national elections, they appeared modestly (i.e., "at their level"), becoming the sixth - the smallest – political group in the Bundestag. And not because they and the voters suddenly changed their minds. For example, 86 percent of Germans believe that climate change is a problem, but this was never a pretext for voting for the Greens ... But let's come back to this later. And in other European countries, success of Greens is unbelievable. They significantly improved election results in Luxembourg and the Netherlands. For the first time, Amsterdam has the "green" mayor. In Belgium, Greens were backed by both the Flemish and Walloon communities, and in Flemish Antwerp the number of voters for Greens doubled. Thus, what's going on? Is European "green wave" flooded, is party policy change, do the public priorities or voter thinking changes? Green political ideology is relatively new, but already has its own history. The longest and best described is their story in Germany. Many political writes mention in their memoirs that in the early 1970's a group of activists protesting the deployment of nuclear weapons in Europe (and against all nuclear energy) brought together a party that unexpectedly for many politicians came to the Bundestag. This happened in 1983, when the party collected 5.6 percent of the vote. It was really a protest party. The long-haired radical Joshka Fischer was sworn wearing jeans and sneakers. After some years the same Fischer became the respectable minister of the German Red-Green coalition under the leadership of Gerhard Schroeder. At that time, and in other European countries - France and Italy - the green ones were somehow "upright", but then the green wave was overwhelmed and the number of sponsors of the green ideology was balancing the threshold of access to the parliament. Outside Europe, too, there were not many Green success stories. A few percent of the votes they received in Australia and New Zealand, in the 2010 Colombian presidential election green candidate achieved came to second round. There is not much more to boast about. In the European Parliament, the Greens have some fifty representatives and they are one of the small political groups), positioned left from social democrats, while in the Parliamentary Assembly of the Council of Europe, the Greens are in the most left group – United European Left. Political analysts do not think that the cause of the success of Greens in Germany and surrounding countries is the is the sharp left-shift in the society. It is rather the merits of the circumstances and the ability of Greens to exploit the situation. It's time to delete from the textbooks the paragraphs about traditional British democracy or exemplary parties in post-war Germany. The non-systemic parties are taking ground. Even the President of the United States is not systematic. Politicians are surprised that new non-systemic parties are able to reach the top of the list so quickly: and neither the large network local branches, nor experts in public opinion formation, nor the voters' enlisted professionals can help the old traditional parties. And this is not evil or good in itself. Just - reality. There is something in the world politics that you do not need to be cunning and overwhelmed, but to investigate and systematize it. Even those who feel part of the system today must realize that politics is changing and will need to live with it. In Germany, of course, a political vacuum is emerging, the CDU and the Social Democrats become parties whose future opportunities are no longer trusted. It is not Angela Merkel who leaves her political scene. There is a change in understanding of what is politics, and it is clear that politics is no longer a competition between traditional ideologies, transforming results into quotas and sharing influence. In this situation, one needs to take on board those Germans who have their own political attitude, however not the love for old ideologies, but the political hopes. 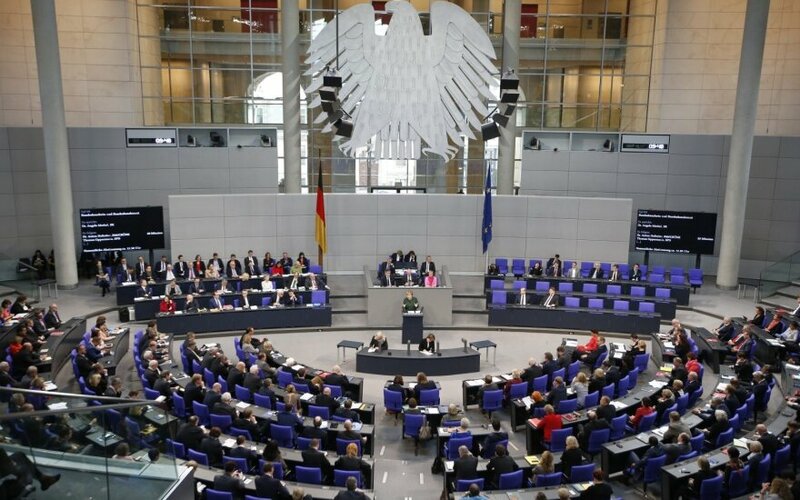 An alternative to Germany (AfD) offers picture Germany, protected from external cultural and ethnic threats, Germany as a strong, reliable and well-defended, protected from unwanted newcomers, Germany, which is well aware of what the enemy is, an ally Germany, who understands that European integration is not the ultimate policy goal but only a means to maintain order. Politics and elections are the selection of wisdom and ability, not quotas for particular gender or specific groups of people. Meanwhile, Greens offers the Germans to be open to the world, to accept migrants, not to fear a multicultural life. Besides, it offers to live in a less affluent, but socially correct, to live healthy, avoiding nuclear energy, cleaning up the air and curbing climate change. European integration is a way to achieve good policy goals. The Greens believe that they simply do not need war, do not need either fictitious enemies or false allies, do not need to be tempted by rapid decisions of power and offer peaceful initiatives to all those who are armed; expects women to vote in quotas to achieve the desired gender equality. In the European Parliament, Greens had recently endorsed the need to punish Hungary, to ban autonomous weapon systems (known as "killer robots"), to propose not to sell products of different quality with the same name and label under different EU markets. Is it the New Green, or the same Green? Long-term success or just another "wave"? It seems to me that they are different, but this will still have to be proved by choosing the principles of politics. Postmodern political issues of the 21st century can no longer be resolved either in liberal or conservative way. More precisely, the decision no longer depends on what party in power, it is determined by the wisdom of individual politicians, but not by the ideology of the ruling or opposition parties. People are joining political organization for solution of specific problems, rather for affiliation to particular ideology, they do not need a glorious past, they are oriented to the present in the way they are, and not what should be according to the beliefs of classical ideologues. The voter is more oriented towards a short-term effect than long-term program implementation. This is the theory of non-systemic parties. And practical success accompanies these political organizations, that sees the voter not as segment of voting society but sees the voter as a person with his emotions and dreams, trying to understand those dreams and translate them into his program. What are these New Greens people will see in next year's European Parliament elections It is expected that there will be significant changes in European politics, including changes to the "green" policy. Kęstutis Girnius. Lithuania: with China, with the EU or for itself?